Official talks at the 18-nation Pacific Islands Forum (PIF) will centre on the threat climate change poses to island states and China's rising influence in the region. But the presence of the detention centre looms large as the four-day meeting opens Monday, amid calls from rights groups such as Amnesty International to close a facility it calls "a stain on the region". "Pacific island leaders cannot ignore this issue any longer and need to ensure that it is at the very top of the forum's agenda," Amnesty said after releasing an open letter co-signed with 80 other non-governmental organisations. The camp houses around 220 asylum-seekers, including more than a dozen children, who have tried to reach Australia by boat. 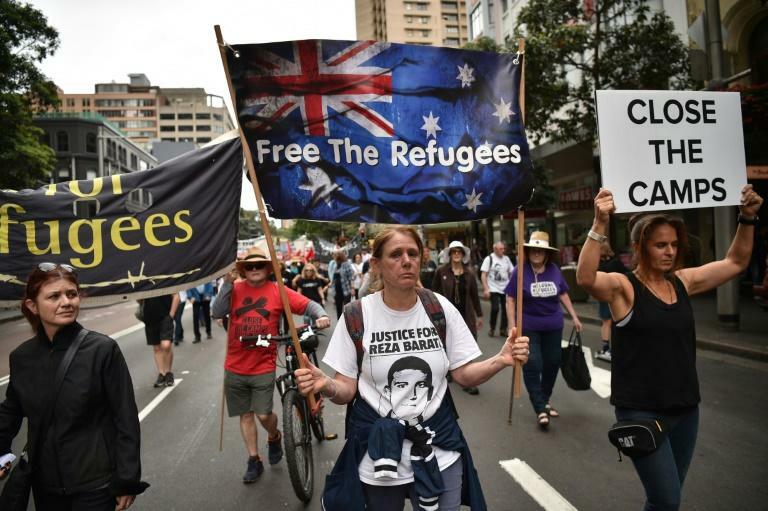 Under Canberra's hardline immigration policies, such people are processed in remote facilities on Nauru and Papua New Guinea to prevent them setting foot on the Australian mainland. The UN Human Rights Commission says they face indefinite detention, labelling their treatment "harsh and cruel". However, Australia says offshore processing is needed to stop the deaths that occur when people-smugglers cram asylum-seekers into rickety boats for the treacherous sea voyage. The camp is an economic lifeline for Nauru, which has a population of 11,000 and scant natural resources. In unprecedented restrictions, the government has warned visiting journalists covering the PIF it will revoke their visas if they report on the asylum-seeker issue. "You are only authorised to report on, or take photos or videos of the PIF. Any other subjects must be approved by the RON (Republic of Nauru)," it said. Such heavy handed tactics have only taken the spotlight off other concerns raised by PIF members in the lead-up to the summit -- chief among them climate change. "Climate change represents the single greatest threat to the livelihoods, security and wellbeing of our people," PIF Secretary General Meg Taylor said. 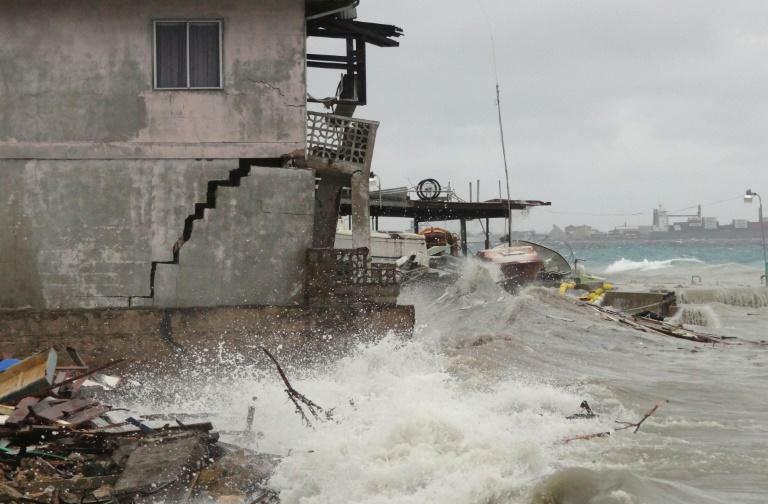 Some of the PIF's small island nations fear they will sink beneath rising seas, while others are regularly battered by devastating storms fuelled by the changing climate. A major aim of this year's summit is establishing a $1.5 billion fund to help the region respond to climate change, as well as disasters such as earthquakes. Known as Biketawa Plus, it would be used to strengthen essential infrastructure such as hospitals, power stations and ports that are vulnerable in disasters. It will also cement existing security arrangements involving the PIF's largest members, Australia and New Zealand. Reports in Australia said the move was seen as a way to counter China's influence in the region, which has grown dramatically in recent years as its foreign aid programme has expanded. Canberra and Wellington have boosted their Pacific aid contributions in response and will be working frantically on the sidelines of the summit to ensure they maintain support in a region they regard as their backyard. Other issues on the table include fighting obesity in the world's fattest region and managing economically important tuna stocks. 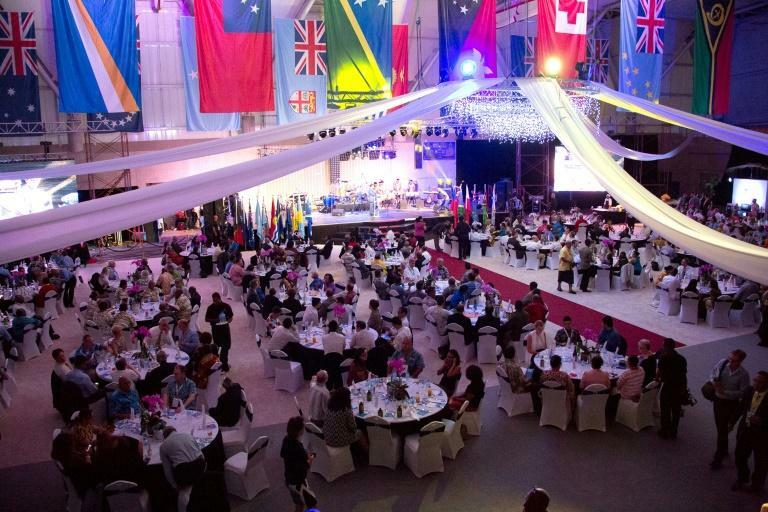 Yet in a country with an area of just 21 square kilometres (eight square miles) -- the world's smallest island nation -- it will be difficult for delegates to ignore the asylum-seeker camp. One visitor who has taken a keen interest in the refugees is New Zealand Prime Minister Jacinda Ardern, whose offer to accept 150 of them has been rejected by Australia and Nauru. Ardern has not ruled out visiting the camp while she is in Nauru. "I have a hope, an expectation at least, that I will at least be given an opportunity to be exposed to some of the issues around refugees on the island," she told reporters. "What form that takes is not yet clear." Ardern's newly installed Australian counterpart, Scott Morrison, has decided against attending the summit after taking power in the wake of a bitter internal revolt that ended Malcolm Turnbull's tenure as leader. Lowy Institute foreign policy specialist Euan Graham said Morrison's absence risked undermining Australia's bid to revive its diplomatic ties in the Pacific. "Downgraded representation at the PIF would be especially damaging, given that the point of Canberra's 'step up' in the Pacific is all about demonstrating momentum behind Australia's renewed commitment to the region," he told the Australian Broadcasting Corporation.